We did a full day tour with Nobuaki Nagata in Kyoto in March, 2018 and we couldn’t have been more pleased. He picked us up at the port in Kobe, drove to Kyoto for the day and returned us to the ship that evening. 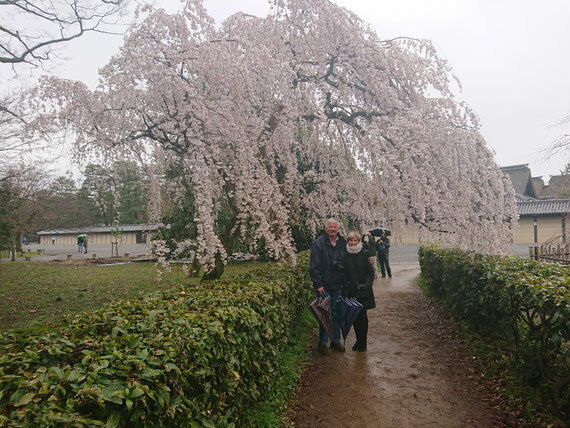 We had been to Kyoto several times before, so we asked to go to places that he would recommend that were not the usual tourist spots (all of which are wonderful as well) and we were not disappointed. Everything we saw and did was wonderful, his English is very good, his vehicle is very clean and well cared for and his driving is very safe. We could not have asked for a better day and we will certainly contact him again if we are back in Kyoto. He is also very good at confirming everything by email in a very timely manner. We would absolutely recommend Mr. Nagata as your tour guide in Kyoto.